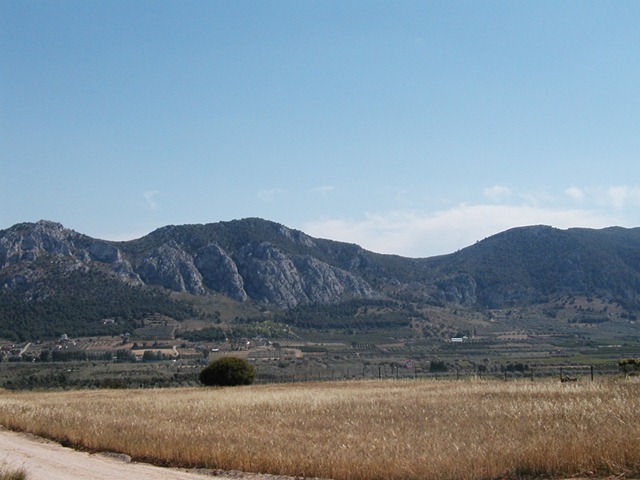 Recent investigations on the Isthmus of Corinth by the Eastern Korinthia Archaeological Survey (EKAS) have revealed a series of relatively humble fortifications situated along the ridge of Mt.Oneion, which forms the southern boundary of the Isthmus. 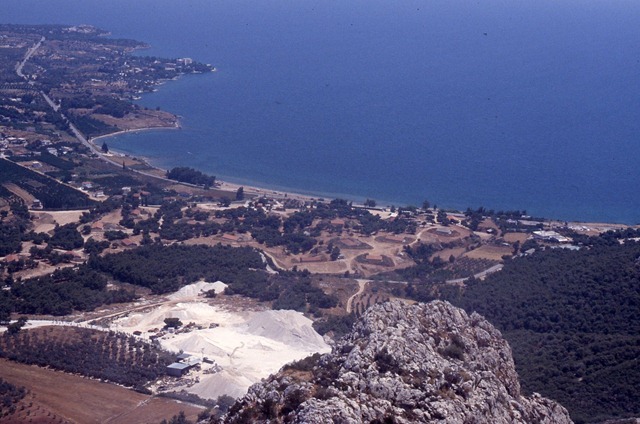 These Late Classical-Early Hellenistic walls, along with a nearby series of later Venetian fortifications, were designed to block access to the south through several low passes. 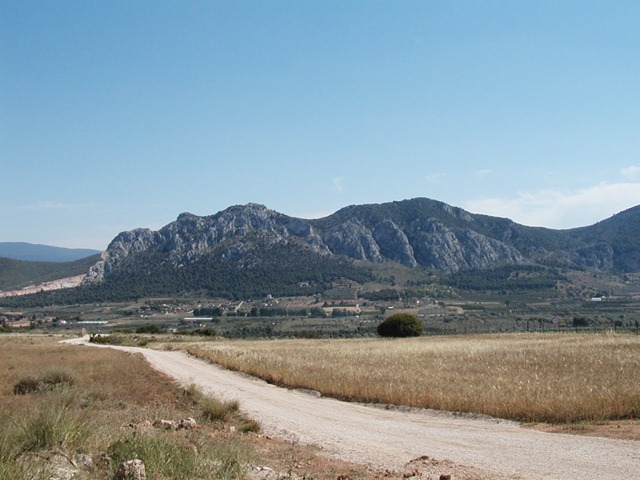 Controlling the passage of northern armies through the Isthmus to the Peloponnese was clearly a long-term strategic concern for diverse regional powers. Thanks to Cindi Tomes of Messiah College’s Faculty Services for scanning these. I include a few of the highlights below. 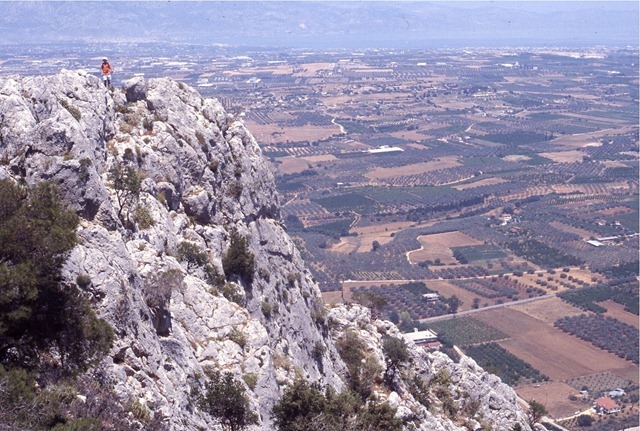 Bill Caraher at the top of the Corinthia. 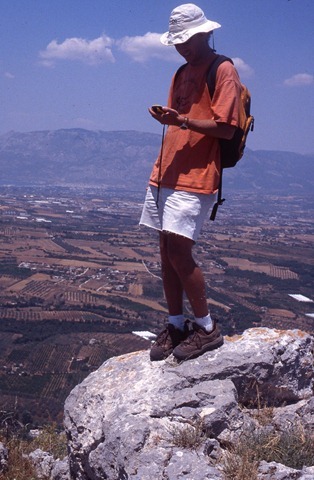 Bill takes GPS readings with the Isthmus in the background. 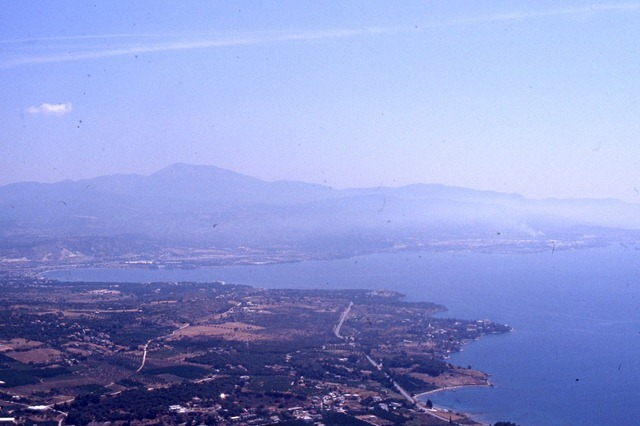 Saronic coastline along plain of Solygeia. 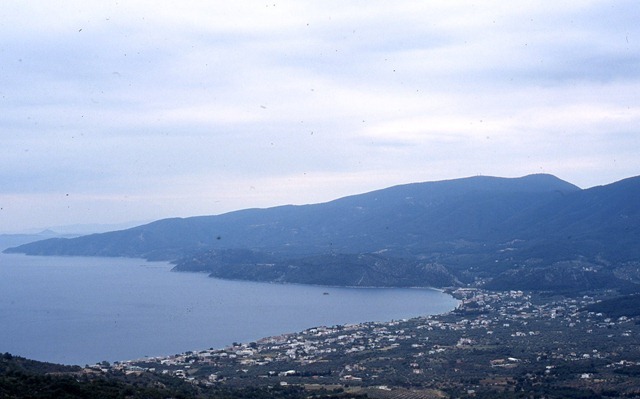 The Saronic coastline from Kenchreai (bottom-right) to the Bay of Kalamaki (middle-left) to the narrow coastal pass of Gerania (middle-right). 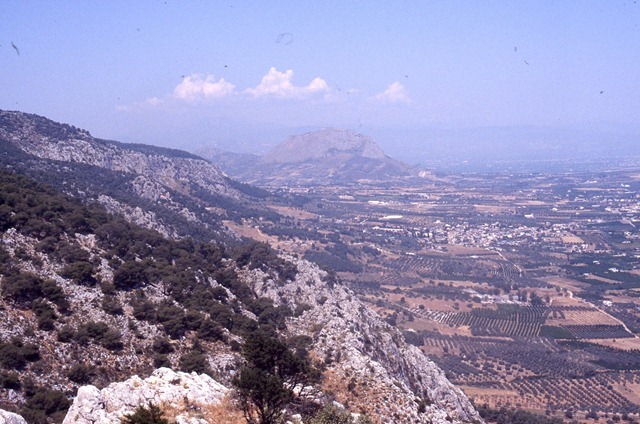 The Oneion backbone which ends in Acrocorinth (center).